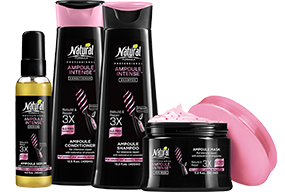 Natural Formula launched its professional brand in 1987, fostering the belief that every woman deserves beautiful hair that will give her undeniable confidence, convey her captivating charm and be an enduring asset as she conquers her goals. Our exclusive products combine the purity of nature’s ingredients with an abundance of fragrances and textures to create the most effective hair care results. 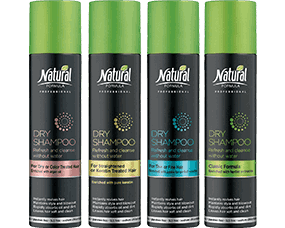 By using our exclusive products, you can enjoy professional hair care every day to make every day a great hair day. We create formulas inspired by natural ingredients from around the world. Every formula developed in our laboratories combines a complex of natural ingredients that have been proven effective in nurturing hair and scalp health. Some of our most exotic ingredients include: pure keratin, shea butter, argan oil, macadamia nut, wheat germ, jojoba, coconut oil, avocado oil and more. We produce professional salon-quality products that are accessible and affordable. Today’s hair care products aren’t just about getting your hair clean. Using the latest scientific developments, we’re able to repair damaged hair and change the way it looks and feels. But until now, such products could only be found in high-end salons. 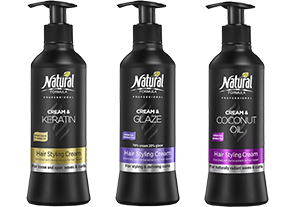 Natural Formula is changing that by bringing you the latest innovative global trends and professional solutions to stores near you! 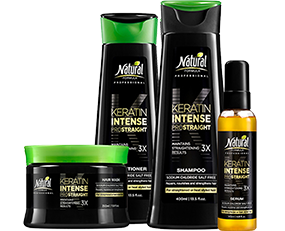 Our professional product line contains ingredients that repair hair at affordable prices, without compromising quality. All you have to do is choose the products that are right for you. Natural Formula products are not tested on animals.